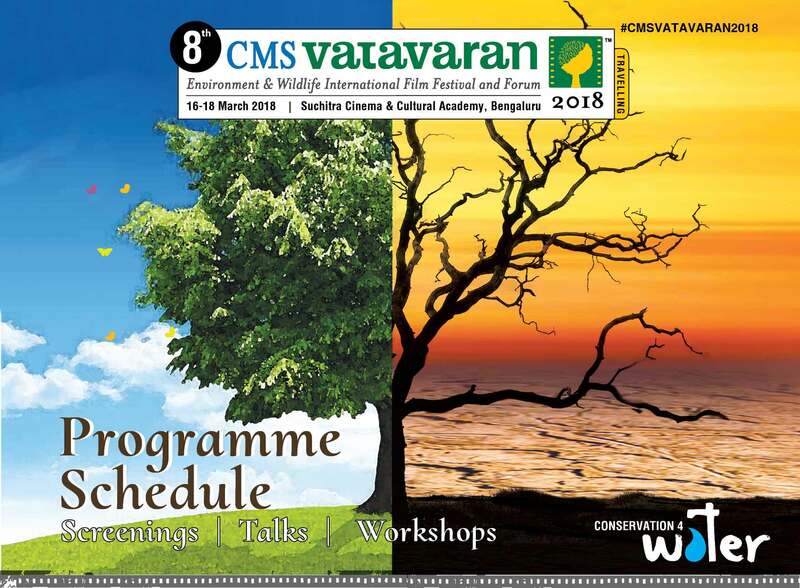 The 8th CMS VATAVARAN 2018 Travelling Festival – International Film Festival and Forum on Environment and Wildlife Film, is scheduled from March to October 2018, across five cities of India, starting from the city of Bengaluru. The Bengaluru CMS VATAVARAN 2018 Travelling Festival is scheduled 16 to 18 March 2018 at Suchitra Cinema and Cultural Academy, 36, 9th Main, BV Karanth Road, Banashankari 2nd Stage, Bengaluru. Grammy Award Winner Ricky Kej, in collaboration with Suchitra Film Society and CMS VATAVARAN are organising this festival in Bengaluru. The theme of 8th travelling edition of CMS VATAVARAN festival and forum this year is ‘Conservation 4 Water’ which will delve on issues of the inter-connectedness of climate change and water, water struggles due to climate variability, community engagement through empowerment of youth and community and environmental damage. During the festival, several interesting workshops, talks and discussions on the challenges concerning water will take place. The forum will see participation from conservation practitioners, media professionals, public officials, policy makers, students, educators as well as public at large to better the understanding of problems in water management and conservation in India.